The trip was absolutely outstanding. 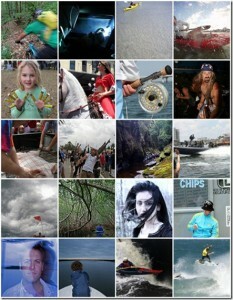 It offered a healthy combination of adrenaline and culture that anyone would find enlightening. 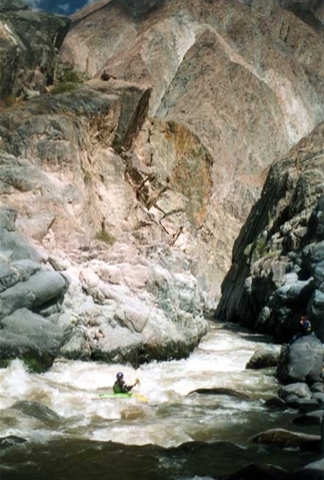 The Cotahuasi Canyon itself is filled with innumerable whitewater rapids and Inca ruins littered with ancient remains and artifacts. But first you have to get there. 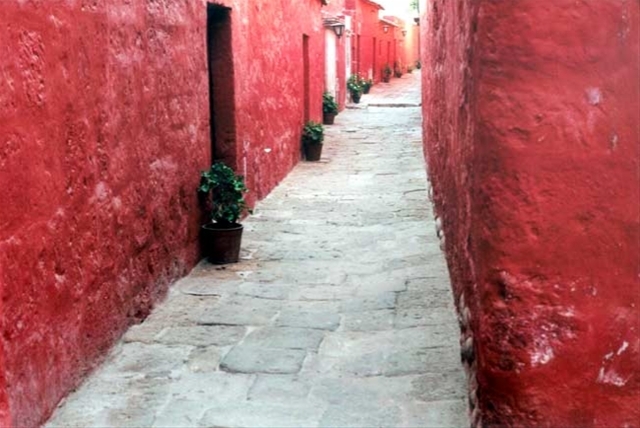 Home base was Arequipa, which is in Southern Peru, and it is a sizeable city with about 1 million inhabitants. Bio Bio put us up at the El Lago Resort, which is a luxurious little oasis on the edge of the city. The alpacas keep the grass trimmed, and the employees make sure the Jacuzzi is hot. Viewed from the Resort and towering above the city are several Andean peaks all in the 20,000ft range, some of which are still active volcanoes. One of them recently erupted, spewing volcanic ash on the neighboring mountains causing the glaciers to melt and recede. 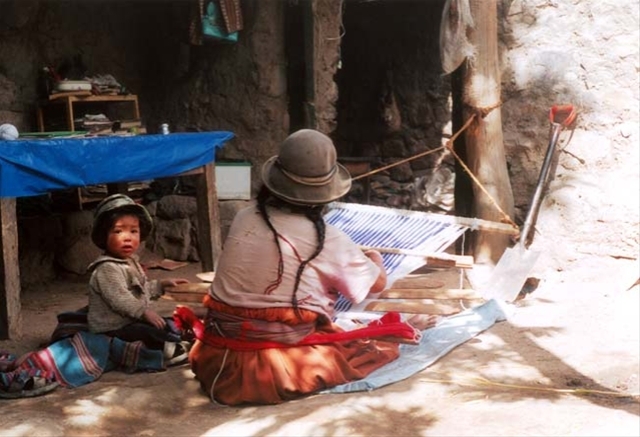 This action exposed the two famous mummies, Juanita and Serita, who are featured in a museum in Arequipa. Right across from the museum is the monastery of Santa Catalina, which was built in 1580 but not open to the public until the 1970’s. It is one full block in size and completely walled in. It is an absolutely beautiful excursion into this city within a city. 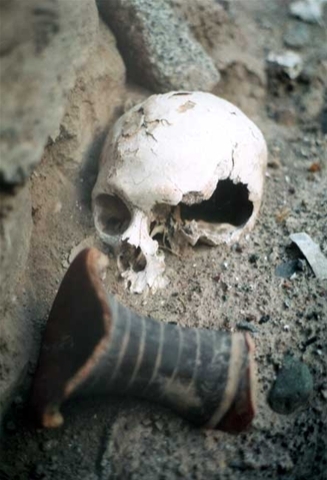 You poke around and get lost as you view the various artifacts that are left lying around. It is definitely a photographer’s dream with the varying colors, stonework, and views of snow-capped peaks in the distance. 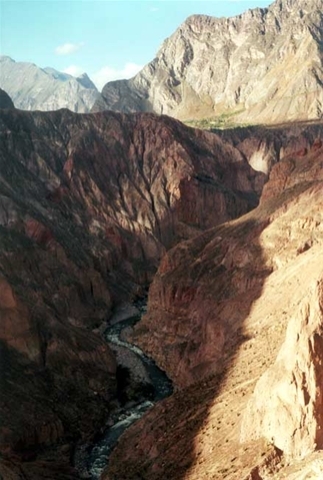 From Arequipa it is a day of driving, primarily on dirt roads, to reach the town of Cotahuasi. The journey takes you through quaint towns filled with truly great people. At each stop we were presented with smiling faces and fantastic hospitality. Once in Cotahuasi, it is the last chance to gather any forgotten provisions and enjoy the modern conveniences we so often take for granted. From the town of Cotahuasi it is a 15-mile portage around the majestic Sipia Falls before you can get to the river. All the gear, including kayaks and rafts, is strapped to the sides of burros. While these faithful animals carry the load, the hiker can proceed unencumbered into a gorge twice the depth of the Grand Canyon. Ambling along an ancient Inca trail carved into this beautiful landscape was unforgettable. Even though the canyon’s original inhabitants were buried over a thousand years ago, I couldn’t help but imagine Inca runners traveling from the ocean to the mountains delivering messages and fresh seafood to their omnipotent kings. The next 6 days were spent paddling continuous class IV-V whitewater. The Argentine chef, Diego, cooked meals that had me briefly thinking we were not in the middle of nowhere. 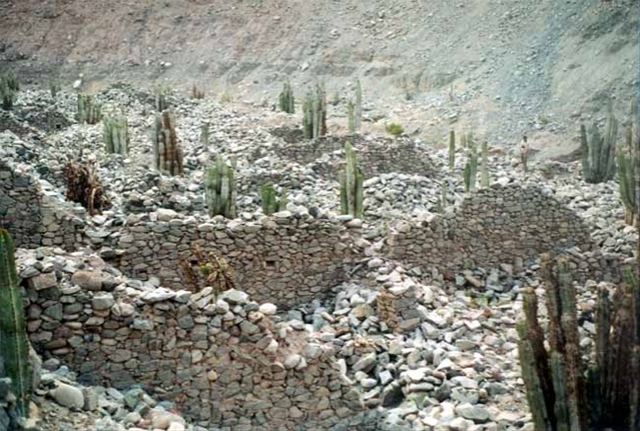 Each night we camped on Inca terraces and explored ruins filled with skulls and bones and artifacts of all kinds. Bio Bio really impresses the importance of leaving everything undisturbed, and we did. It is better to leave the relics of an extinct culture to the archaeologists, and the next individuals that navigate the mystical canyon walls of the Cotahuasi. The shuttle back to Arequipa meant the end of an extraordinary adventure, and I could not help but lament its conclusion. There are many cultures and many rivers still left to explore, but the Cotahuasi will always be a precious memory in my mind.